The concept of "the tragedy of the Commons"
How does the concept of the tragedy of the Commons relate to the way in which human individuals and societies use resources? A. What is the circular economy? in your own words what is meant by "The Circular Economy". What are the key features of a circular economy? What are the key similarities and differences between the circular economy model and the biological model? 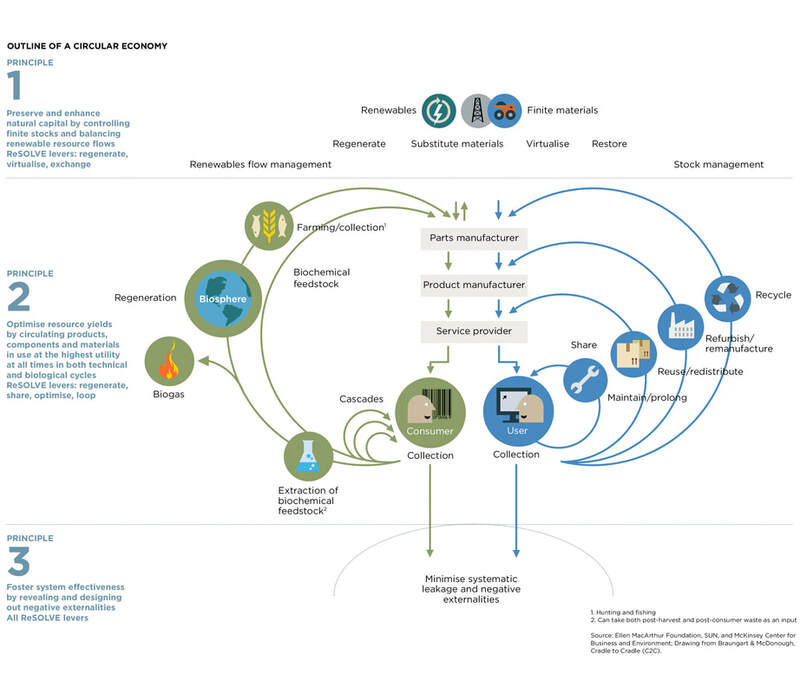 How does the circular economy model differ from how most societies/economies operate? Why are present phones and computers harder to recycle than earlier models? Give 2 examples of companies that are trying to work with the circular economy model and how. According to the textbook, when might the potential of the circular economy be realised? What do we have to learn from indigenous knowledge? Do you think we can? How does this connect to the circular economy?